That first "new" rendering in the shadows head on, screams Z. Further look says some Audi R8 as well as a hint of RX8. Then the end of the article reads; Oh, and by the way, happy April Fool’s Day tomorrow (you really think this would be believable if it was published tomorrow?) But really, let’s get on this Toyota. When/if the Supra MKV is finally released, I’d like to see how close to spec we are. While i don't doubt that Toyota has something in the works since they've recently (in the last couple years) renewed the copyright (Or whatever it's called) on "Supra," i'm not holding my breath that it's coming anytime soon. Or that it'll even be called a Supra. Or that it'll be affordable. I really don't like the kink at the top of the side windows, and mention of a "3JZ" inline six just reeks of BS made to pander to fanbois. I'm guessing this is either clickbait or an April Fool's joke. Linky said: It’s time to bring some old school to the new school, and welcome the 3JZ engine. This will be a 3.5 L inline 6 twin turbocharged monster underneath the hood, with an estimated 560 hp in the base model. To get around the emissions laws it will have a system similar to the Prius but this option can be turned off. Essentially it’s an electric motor that can kick in at highway cruising speeds that will increase mpg along with an active aerodynamics system. Soooo....basically, you get a pretty big HP engine, and the ability to turn the potential of additional torkes off so...what...you can drag around a couple extra hundred pounds of dead weight from batteries and motors and such? Why is that even a highlight? Even uglier than an FRS,good job. No way would ever be able to do everything dreamed up for that article at $50k-$60k. They'll could conceivably get just the turbo I6 with 460hp in that price range. No AWD, electric motors, batteries, or extra 100hp...Which just so happens to also make the car sound more interesting to me, than the fantasy described in the article too. 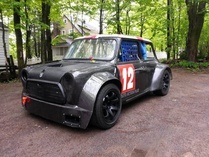 DuctTape&Bondo wrote: That first "new" rendering in the shadows head on, screams Z. Further look says some Audi R8 as well as a hint of RX8. Then the end of the article reads; Oh, and by the way, happy April Fool’s Day tomorrow (you really think this would be believable if it was published tomorrow?) But really, let’s get on this Toyota. When/if the Supra MKV is finally released, I’d like to see how close to spec we are. Looks to me like they just knocked some edges off the Lexus LF-A. Wasn't this an April Fools joke? I can't tell if it's real or not. We are talking about the company that managed to make a rwd only hybrid for lemans.......a super capacitor and a similar system could be relatively light weight yet give an added boost to only the rear wheels. But either way.....this was an April fools joke for sure. I don't care about a car I could never own. To me a more exciting supra would be one that sells for $30k and is competing with a 370z not a GTR..... AS IT SHOULD BE. The LFA should be the GTRs competition. This is definitely april fools joke.